Kevin Bibbs was instrumental in the growth and productivity of The Street Factory, Inc. He was more than just an incredible musician – he was a good friend. Kevin worked with The Street Factory, Inc since its inception in 1987 until his untimely passing in 1995. He had a Soulful Voice that covered almost 5 octaves – something almost unheard of in a Male Vocal Talent. 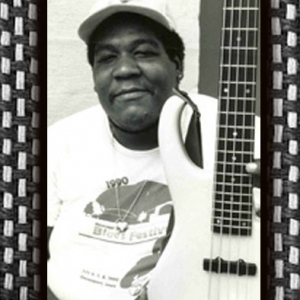 He played the Bass like few could – he was in a class with Stanley Clarke, Bootsy Collins and Jaco Pastorius. He played with the likes of Earth, Wind and Fire, The Rolling Stones, Sugar Blue, Buzz Kilman & The All Bubba Blues Band and, of course, The Street Factory’s own Band Of Thieves. He worked tirelessly with new musicians and was unselfish and giving to a fault. He was larger than life, but humble and true to his Chicago roots. He is with us each day, here at The Street Factory, Inc., in spirit and presence and we are lucky to have him as our Eternal Music Director.